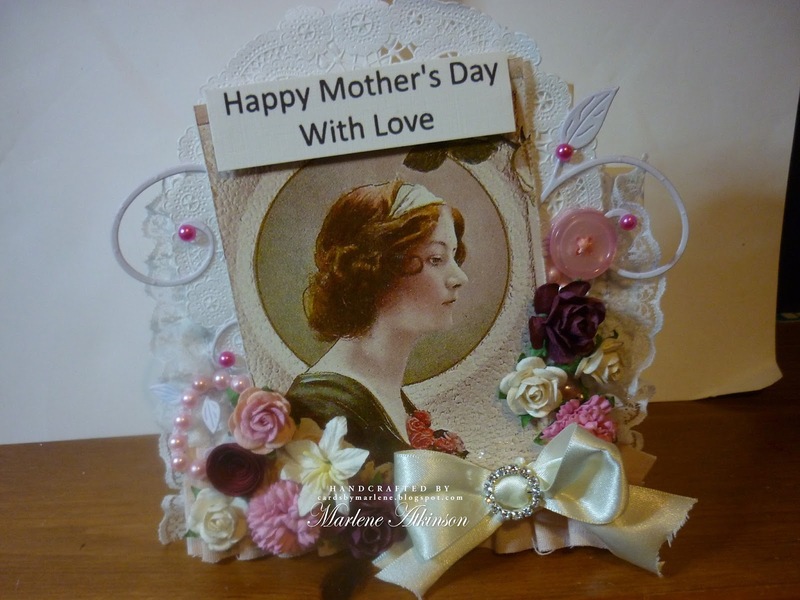 I have used an image from Crafts and Me called Rose, various flowers, Ribbon Bow and Buckle. I love making these type of cards. 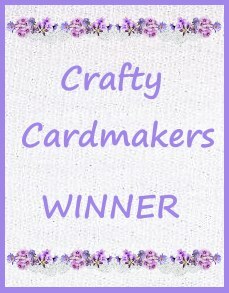 I've made a card for my daughter. 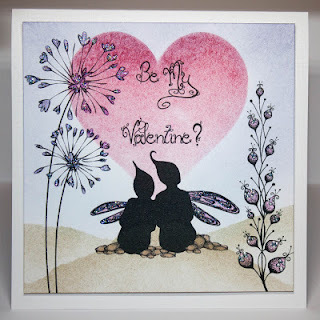 I used an image and paper from the Bebunni collection from Crafter's Companion. 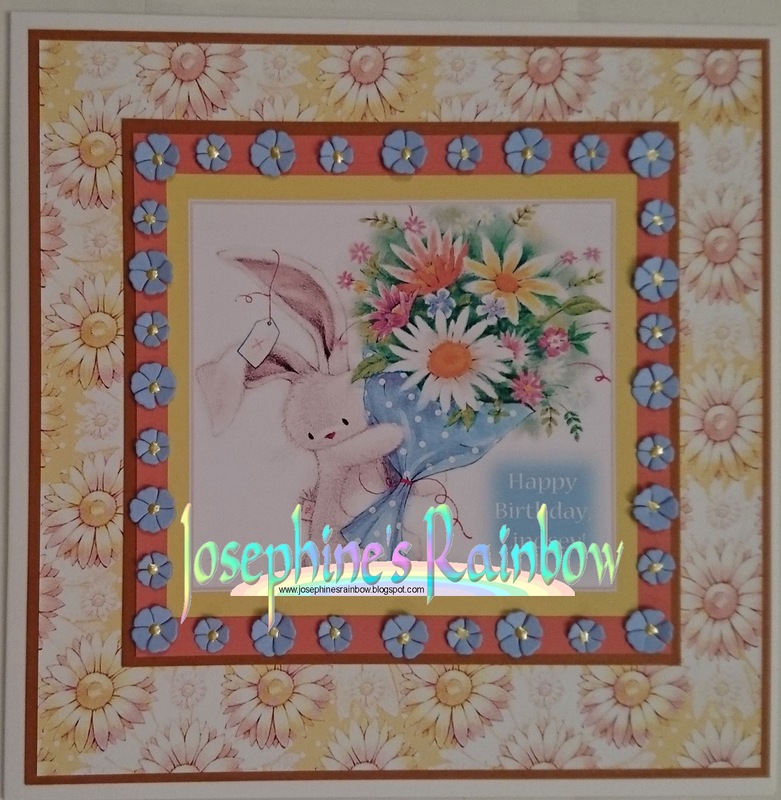 I added a personalised sentiment in Photoshop Elements and finished with a floral frame. 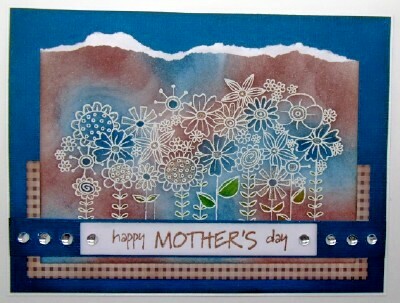 I made this Mother's Day card for the latest Woodware catalogue. I have used white embossing powder, dye based inks and a little bit of bling. 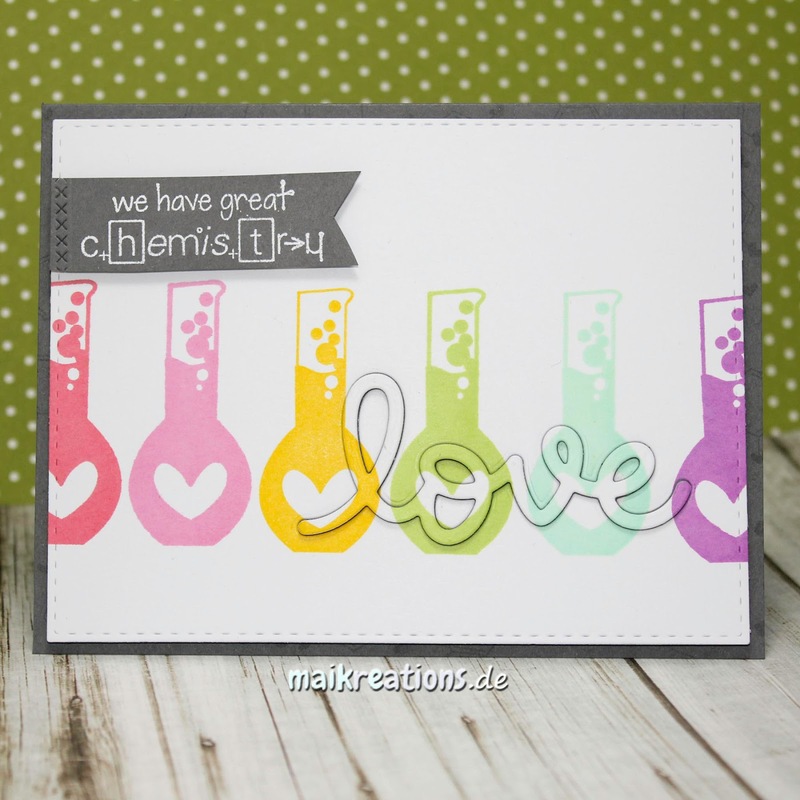 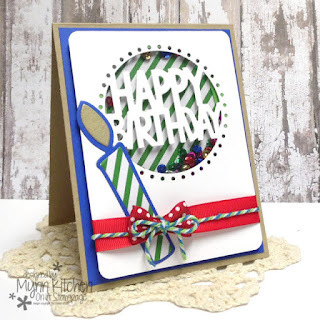 A cas card made especially for a Special Crafty Friend. 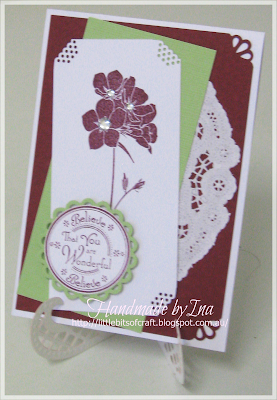 The sentiment stamp is from Lily of the Valley and was given to me by her. I'm guessing you will know this is for my mum on her special day . 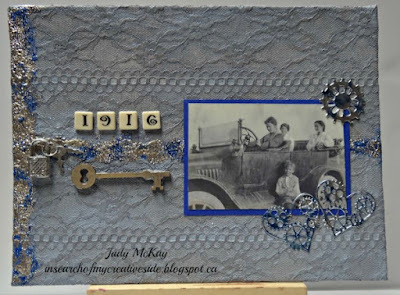 I have used a handmade Masterboard for the background and the dies are by Couture Creations, Tim Holtz, Spellbinders and Memory Box. 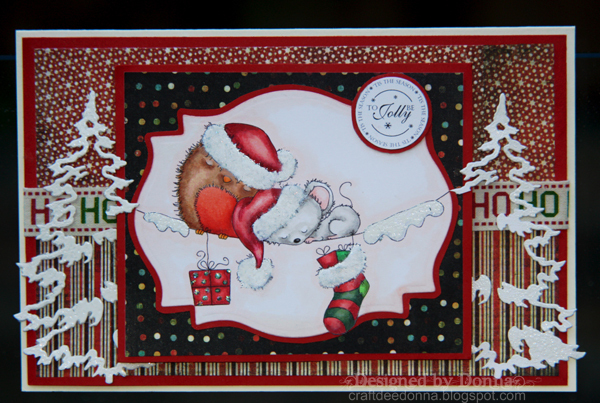 The stamp is Inkadinkado 'Happy Days'. I made this card for my sister using a design from Hunkydory's The Little Book of Patchwork Forest. 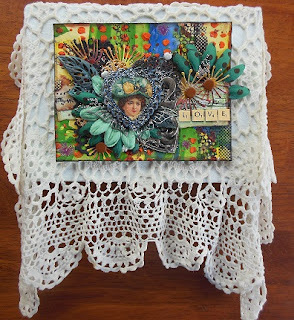 This has been made for a Special Lady who is a 80 year old Friend. 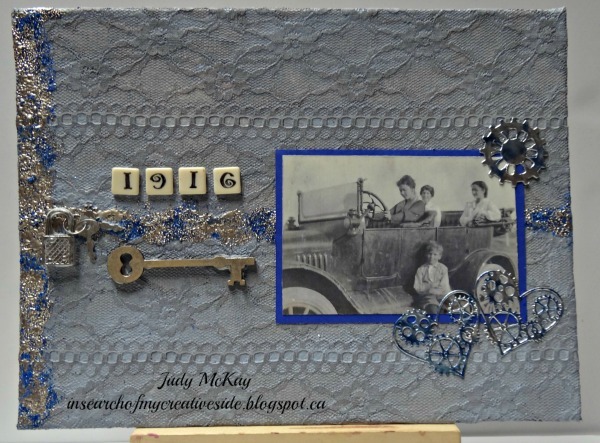 Image and paper from Joaana Sheen's Jane Shasky CD, Dies are Die'sire from Crafters Companion. 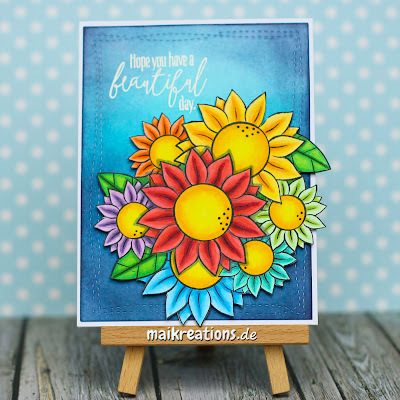 I made this card with a very good friend of mine in mind, who loves colourful flowers. 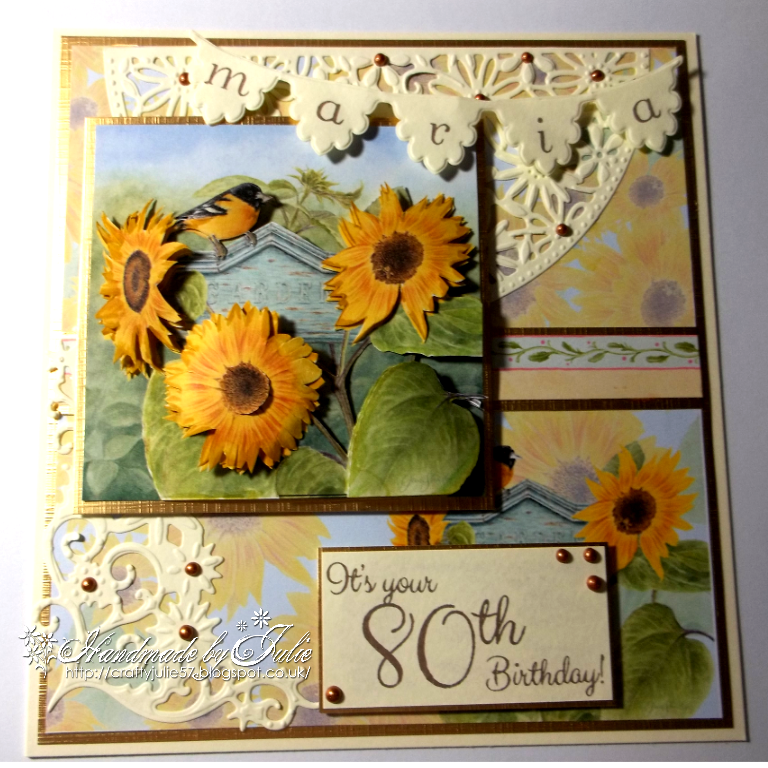 The images are from a stamp set by Lawn Fawn. 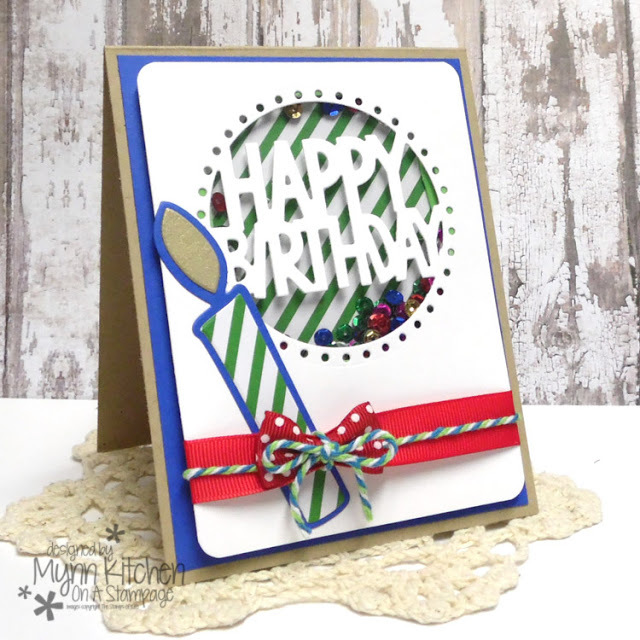 I have made a card for a very special friend of mine using this gorgeous die from Stampin Up! 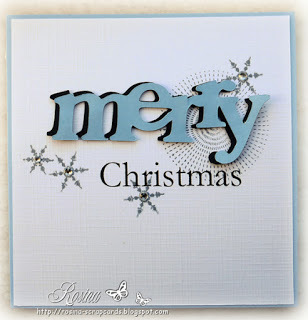 and Glimmer Paper. 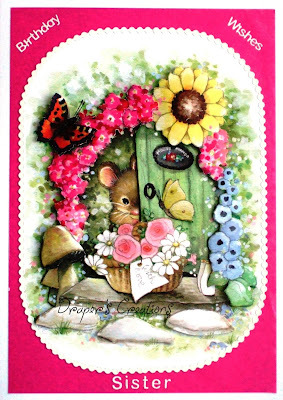 I made this card for my sweet niece, Bridget's birthday. She is a beautiful and brave young woman who survived a medical trauma less than two years ago. 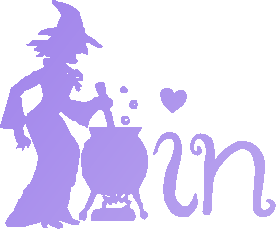 I used this adorable image from Sassy Cheryl. 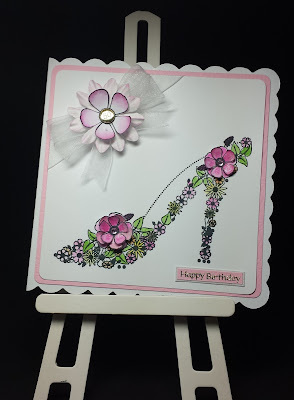 My card was made for a friend's 50th birthday - she loves her shoes so I used a simple stamp coloured with promarkers with just some additional punched flowers and ribbon to make this CAS card. 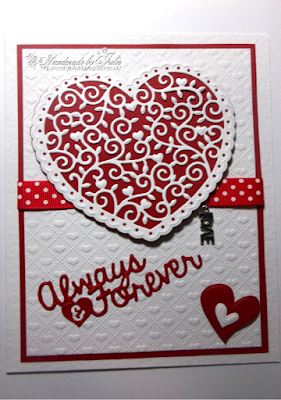 A fairly clean and simple design - a valentine for my husband. 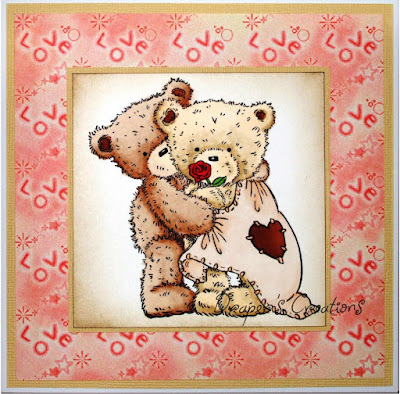 The image is a very old one from Cuddly Buddly to which I added the sentiment and then coloured with promarkers. 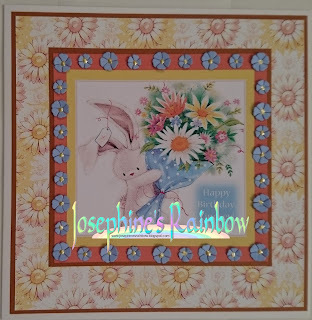 I took a section of the image and tiled it in Photoshop Elements to make a matching background paper. 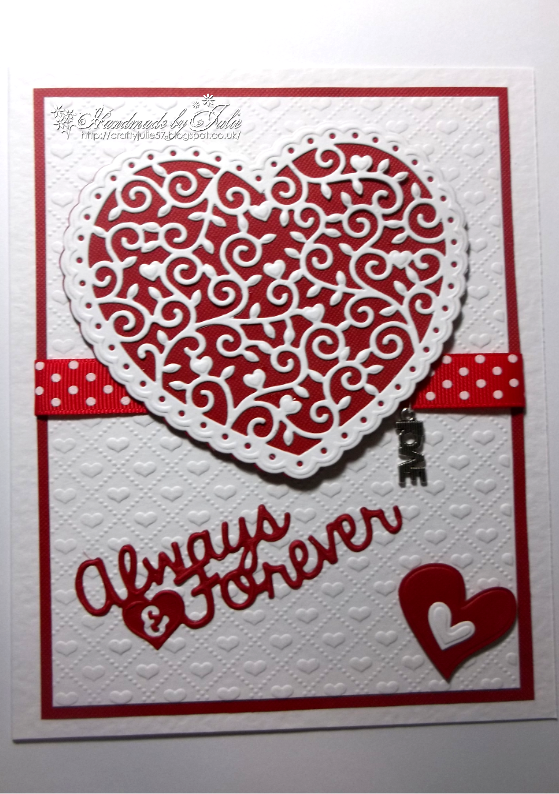 I made this love card for my husband for our wedding anniversary. 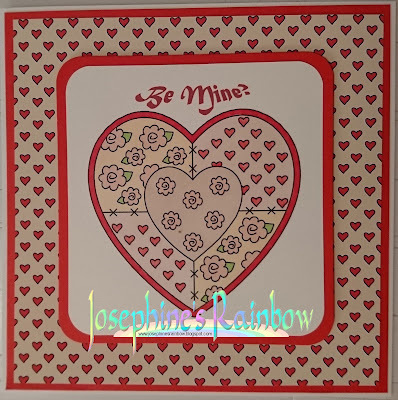 The heart was hand drawn, the sentiment, star banner and butterfly were die cuts. For colour on my card I used several colours of distress inks and thick embossing enamel. The script on the heart is an very old Italian poem rubber stamp by Hero Arts. I used a stamp from the Platinum Popcorn the Bear set called Perfect couple and paper which I had printed from a CD ROM a few years ago. For my card I have used a variety of flowers, die cuts and papers from my stash. 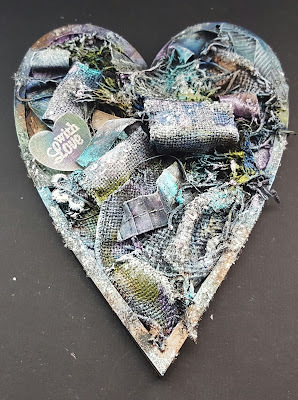 For my project I made a small mixed media canvas incorporating a heart frame, beads, metal embellishments, flowers and die cuts. 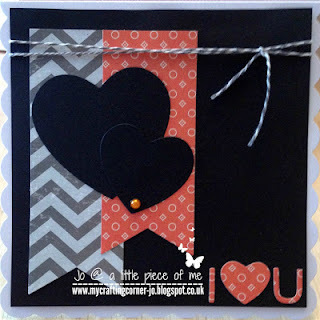 I created a shadow effect by die cutting the word love once from my panel and also three times from some grey cardstock. 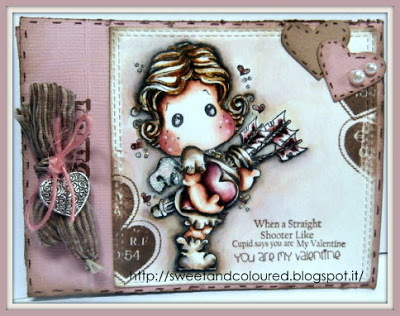 Images and sentiment are from a set by Taylored Expressions. 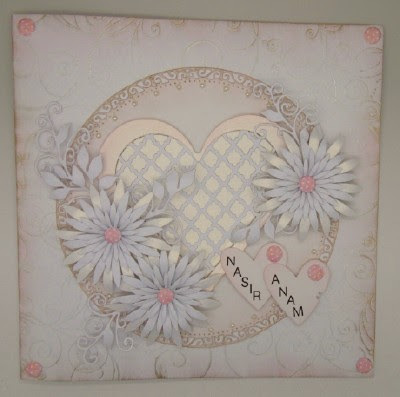 I have used the gorgeous Kiss Kiss range from Crate Paper to create this lovey dovey card! 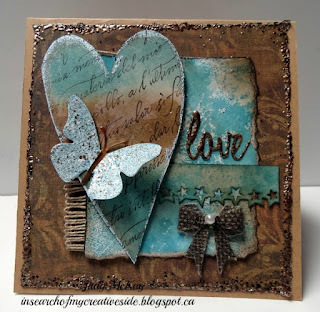 I used "Summer Love" by Mo Manning for this challenge. 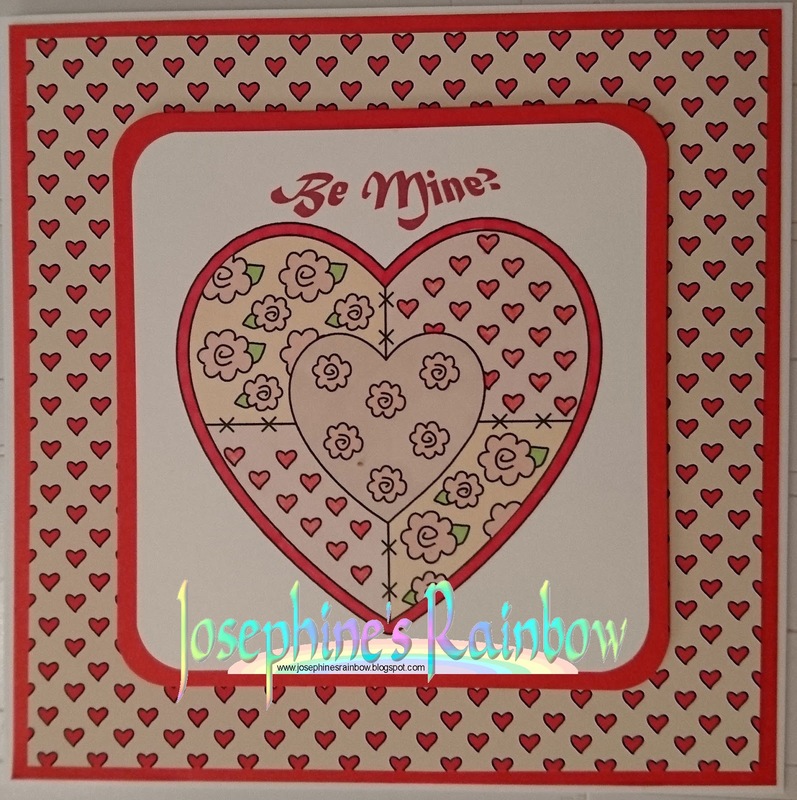 I made this card for my sweet hubby for Valentine's Day. 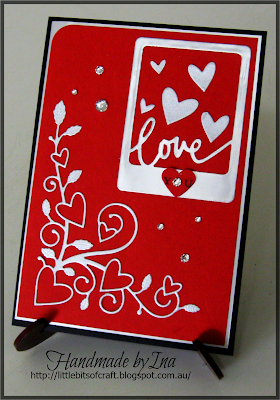 This card is on it's way to a wedding in Pakistan. We look forward to seeing your fabulous creations.